Providing comprehensive marketing support to your resellers really takes effort beyond what you do to reach direct consumers. It may consume energy, resources and time, but it’s worth it. If you think you need more convincing, consider these pointers. A reseller partner channel can give your ISV a variety of benefits, from raising brand awareness to getting product demos in front of a wider audience. In addition, the right channel partners will have established relationships with prospects in your target market who already understand the value an innovative software solution can provide their businesses — or who may be waiting to upgrade to a solution like yours. ​Although building a reseller channel has a definite upside, it can be a challenging process. It takes time, patience, and a different strategy than marketing to end users. These five tips can help you more successfully market to potential channel partners. You crossed every t and dotted every i with your software application, but how developed is your channel partner program? 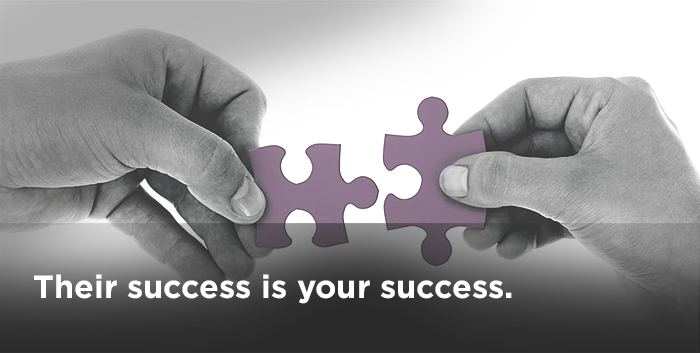 A successful program involves more than deciding on margin a partner will make. Settle issues like whether partners can choose whether to only make referrals, to sell your application, or to train to provide technical support. Do you assign exclusive territories to partners or can they register deals to avoid conflicts? Will your company also sell directly to end users? Build a well-organized, comprehensive partner program that’s mutually beneficial to partners and your ISV. You may have a thorough understanding of how to market your application to an end user, but how does it stack up from a channel partner’s POV? Evaluate how easy the process is for a partner to close deals and deploy your software. If client-specific setup, such as importing a database, is required, how easy is it to do? Does your ISV handle all updates and maintenance, or do channel partners play a role? Is the software easily managed, even if the partner is working with multiple clients? For busy channel partner organizations that are juggling clients and multiple vendor partnerships, the easier the better. ​Make channel partners’ businesses growth the theme of the story you tell. When you poll potential channel partners on the most important types of support they need from ISV partners, marketing and lead generation will be at the top of the list. Channel partners are busy professionals, and they will appreciate all the help you can provide to market your software. Consider developing white-labeled materials, so they don’t have to incur the time and expense to develop them — and you won’t have to be as concerned about the level of consistency with branding and messaging. Also make potential partners aware that they can count on you for assistance with digital marketing and market intelligence. You may even consider providing channel partners with leads you generate with your own marketing activities or offering marketing training. The effort you put into supporting your channel’s marketing efforts is a win-win. You help them to be more successful — and their success is your success. Building relationships that result in beneficial partnerships take time. A busy channel reseller may not have the time to respond to every communication or invitation you send — but don’t give up. Keep your brand in front of potential partners with regular emails, social media engagement, and your calendar that includes invitations to meet with them at conferences or other industry events. The reseller may not be able to take the lead when establishing the partnership; it will take wooing on your part to make it happen. ​Regular communications with prospective channel partners can also include information on topics such as new regulations, industry trends and market research, which they may find useful when building their sales strategies or consulting with clients. This can cement your status as an industry thought leader and resource for information — as well as a valuable partner to have. The effort you put into finding the right channel partners will pay off with a skilled distribution network with a much greater reach and many more established relationships than your ISV has on its own. A channel lead holds exponentially more potential for future revenue than a lead for an end-user sale. Make sure you are actively and effectively marketing to these prospects. Expand your market reach by building a successful partner network and ecosystem.